Reverend Ken Chambers' Westside Missionary Baptist Church is located on Willow Street in West Oakland, just half a mile from the bustling railroad yard where dozens of trains pass each day. The locomotives pull mostly sealed shipping containers filled with furniture, fruits and nuts, and electronics to and from the city's busy seaport. But soon these tracks could become the busiest corridor for shipping coal on the West Coast. Terminal Logistics Solutions (TLS), a company headed by former Port of Oakland Executive Director Jerry Bridges, is proposing to ship millions of tons of coal through a marine terminal that will be built on the old Army Base. If the coal plan moves forward, Chambers fears that members of his congregation would be poisoned by toxic dust blowing from train cars, silos, and conveyors. Chambers is also concerned about the effects of burning coal in the global climate. But Chambers isn't just fighting the developer TLS to stop the project. He is also pushing back against a group of politically influential Oakland clergy who have lined up behind TLS and coal. 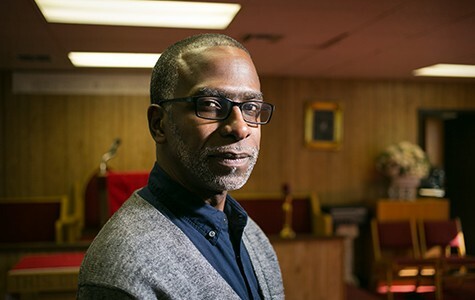 Oakland's Black clergy members are split on the question of coal, and part of the reason is the money that Bridges has promised to churches that support the plan, according to numerous sources. Last December, Chambers attended a meeting of Oakland pastors at the Greater St. Paul Church in Uptown to discuss the issue of coal. Bridges of TLS spoke to the pastors, promising jobs at the marine terminal, and stating that there would be no negative health and safety impacts. Then Bridges thanked Bishop Bob Jackson, leader of Acts Full Gospel Church for supporting coal. And according to Chambers and other sources, Jackson thanked Bridges for the financial contribution that Bridges had made to the Acts Full Gospel Church's youth program. "Jerry said he'd already given money to Bishop Bob Jackson's church youth program," said Chambers in an interview. "And Bishop Jackson thanked him for the donation. He's been bought off." Jackson did not return multiple phone calls and emails seeking comment for this story. But numerous sources confirmed that Bridges told the group of pastors that he gave money to Jackson's church. Furthermore, sources say Bridges has been in talks with Jackson and other pastors about setting up a fund to channel cash from coal shipments to their churches and nonprofits — if the pastors can convince the Oakland City Council to approve coal shipments through the city. Pro-coal church leaders have organized themselves into a group called the Ecumenical Economic Empowerment Council. Members of the group appeared at a December 8 council meeting to urge the councilmembers to approve the coal plan. "We would like to see this project moving forward as soon as possible," said Pastor Joseph Simmons of the Greater St. Paul Missionary Baptist Church, to the council. "And we would like to see that there's not any more information going into the public that scares the public." Simmons wrote in an email to the Express that the Ecumenical Economic Empowerment Council is pro-coal because of the jobs it will generate for Oakland residents. "With the very high level of gentrification that has been occurring in Oakland (West Oakland, specifically), people need quality jobs and careers to live where the rents are escalating to be the highest in the country," wrote Simmons. Simmons also denied that Bridges has contributed money to any churches, or made any promises to fund churches with coal money. "There are no promises to any of our churches or us as individuals in any way," Simmons wrote. "The community benefits program has not been discussed with us. How this will be done should be discussed with TLS officials." Bridges did not respond to multiple phone calls and emails seeking comment for this story. TLS's official website states that the company will "grow strategic partnerships with community and faith-based organizations to make a positive and meaningful impact by committing funds," and that "TLS will commit funds based upon the annual throughput of the terminal[.]" As the Express reported last fall, members of the West Oakland Environmental Indicators Project (WOEIP), a West Oakland nonprofit, said Bridges offered the organization money on the condition that the group help line up support for coal shipments through the city (See "Buying Support for Coal," 9/21). Margaret Gordon, co-founder of WOEIP, said at the time that her organization rejected the offer because coal would pollute Oakland and other communities along the rail line, and would also drive climate change when it is burned in foreign countries. Gordon said in a recent interview that there are multiple problems with the money Bridges is offering to churches and possibly other organizations. "These dollars that Bridges is offering to these ministers, is this separate from what the city and Oakland Global Trade and Logistics have already implemented, or is this a separate deal?" asked Gordon. Gordon said that the original community benefits package with Prologis CCIG Oakland Global, the master developer of the former Army Base, was negotiated between the city and the developer in order to ensure transparency and to provide benefits to the most impacted communities and to the city as a whole. Gordon said Bridges, whose company has a separate, private business agreement with Oakland Global, appears to be negotiating side deals in secret to gain political support for his project. "Who gave the authority to Jerry Bridges to do such a thing?" Gordon asked. "How do they choose who they give dollars to? And is this money dependent on coal?" Reverend George Cummings of Imani Community Church, who also opposes the plan to ship coal through the city, said the coal plan has divided the city's Black clergy. Cummings said he attended some of the earlier meetings between the pastors and Bridges, and said the meetings only took place once the coal plan was made public. 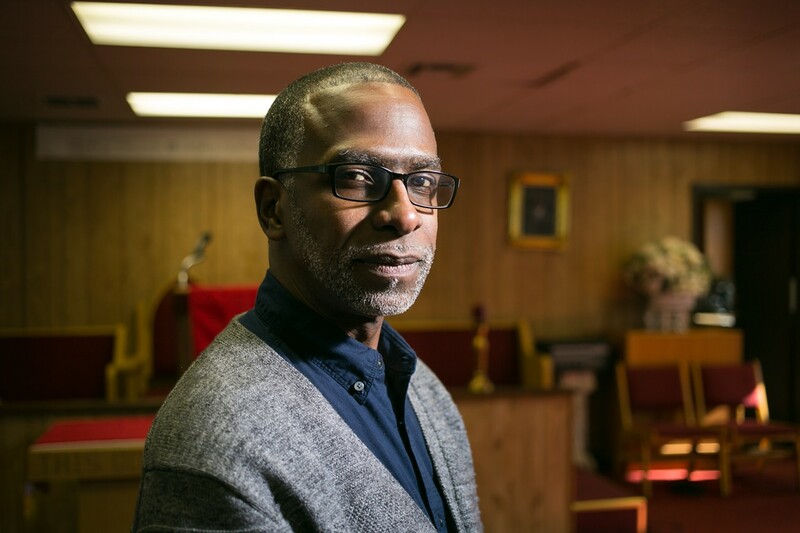 "They weren't talking to clergy until they ran into trouble at the city council, and then all of sudden they wanted to engage the faith community in a conversation," said Cummings. "They are interested in making money. That's okay. I'm not mad at them — but not at the expense of the community and people's health." Chambers, who is a cancer survivor, said his children grew up struggling with asthma. "I'm very sensitive to any unhealthy air quality that I would breathe, or that my family and my parishioners would have to breathe," he said. Chambers has been organizing meetings of other Oakland clergy and community members against coal. The council isn't expected to make a decision on coal any time soon. City staffers are in the process of hiring Environmental Science Associates, a San Francisco-based consulting company, to analyze potential health and safety impacts of shipping coal through Oakland. A draft report will not be ready until June, according to city records. If the report shows that shipping coal through the TLS marine terminal would harm the health and safety of workers or city residents, the council could exercise a clause in its contract with Prologis CCIG Oakland Global to block the coal plan.